The GTU’s Mira and Ajay Shingal Center for Dharma Studies (CDS) represents the leading edge in interdisciplinary and rigorous academic programs in Hindu Studies and Dharma Studies. Highlighting theology, applied ethics, contemplative paths, ritual studies, and the in-depth study of ancient, classical, and contemporary Hindu texts, thought, and practice, the CDS offers the rich diversity of the Hindu world to scholars and students of these and other traditions. The CDS was established with a ground-breaking gift from Mira & Ajay Shingal of the Bay Area. The CDS is a programmatic Center through which the GTU offers its MA and expansive PhD programs in Hindu Studies, Jain Studies, and Yoga Studies. CDS is the first such center in the nation, and is also a hub for Dharma & Sustainability Studies, promotes interdisciplinary scholarship, and supports interreligious interchange and understanding. In its Hindu Studies programs, CDS seeks to understand the lived experience of the Hindu world and explore Hindu Theology, Indian Philosophy, Ethics, Culture, and Praxis through Indian systematic knowledge systems and traditions of inquiry in dialogue with the contemporary theories and methods of the field of Religious Studies. The CDS sponsors conferences, symposia, cultural events, art exhibits, lectures, and research projects as well as liturgical music and dance performances to promote and enrich scholarly collaboration and to foster understanding across the boundaries of faiths and cultures. The Center also engages in community outreach with local Dharma-heritage communities and centers in order to provide students with the context of lived experience of these traditions in America. 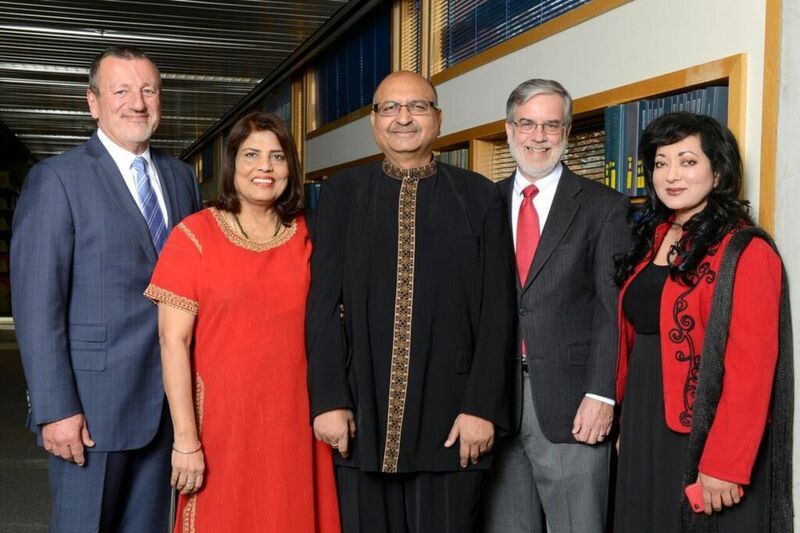 On December 5, 2015, the Graduate Theological Union announced the establishment and endowment of the Mira and Ajay Shingal Center for Dharma Studies, a center dedicated to the academic study of Hinduism, Jainism, and Indian Buddhism. The creation of the Center for Dharma Studies was a major step toward the GTU’s goal of having all of the world’s great religious traditions represented in its academic community. Shingal expressed his appreciation for the ways in which the diverse GTU community and its member schools have shown support for the establishment of the Center for Dharma Studies. “We met one day with the Dean and Director of Intercultural Initiatives at the Jesuit School of Theology, and we spent three hours talking about the commonalities between our two traditions.” JST is offering an Interreligious Immersion Course in fall 2016, followed by an immersion trip to India next January in which students will visit both Hindu and Christian sites. The course will be jointly offered by the Center for Dharma Studies and the JST, and led by professors Thomas Cattoi and Purushottama Bilimoria. “These are the kinds of exciting opportunities that are available at the GTU,” noted Shingal. While the Shingals celebrate the GTU’s multi-religious environment, their greatest passion is for the expansion of the academic study of their own Hindu tradition. “Hinduism is a very unique, peaceful, and global way of looking at the world,” Mira Shingal explains. 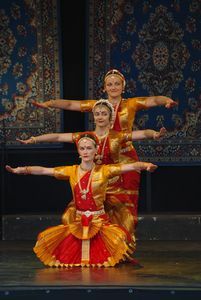 “It is a religion of universality that believes we all emanate from the same power, that we are all connected, and that we must take care of this small planet we live on.” Hinduism is a tradition with “tremendous wisdom” and “a legacy to offer the world” says Mira, but there are very few places in the United States where Hinduism is studied with the same kind of comprehensive, broad-ranging, academic approach used to study other faiths. 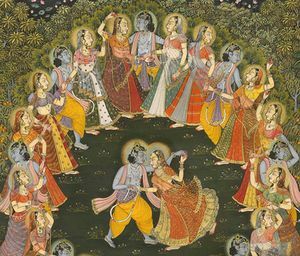 The Shingals believe in-depth scholarship that illuminates the textual, philosophical, and theological ethos of the Hindu world as well as its lived practice can help correct distorted understandings of Hinduism throughout U.S. culture. They have long been involved with an initiative that seeks to address errors in the way Hinduism is depicted in the textbooks in California elementary schools. But this campaign, Ajay says, has been hampered by the lack of Hindu scholars in the United States whose academic credentials are recognized by the state Board of Education. “Back in India, we have institutions where Hinduism is studied, but that same advantage is not available to second or third generations of Hindu American youth growing up here,” offers Mira. The Shingals hope that the Center established in their names will continue to grow and diversify in the years to come. “Hinduism is such a multi-faceted religion, with different teachers and different paths,” says Mira. “I hope the Center will grow so that one day we’ll see a greater range of different Hindu philosophies taught by different professors, and students will be given more than one view of this great philosophy. That’s part of the beauty of Hinduism. It’s not just one simple way of thinking, but it includes many diverse views.” They also look forward to the Center’s expansion of its course offerings in other Dharma traditions like Jainism and Indian Buddhism. The Jain Center of Northern California has recently opened a Jain Studies Initiative at the Center for Dharma Studies, offering graduate courses in Jainism. Doug Davidson is Director of Communications at the GTU.